PRICE DOES NOT INCLUDE INSERTS. INSERTS ARE SOLD OR RENTED SEPARATELY. 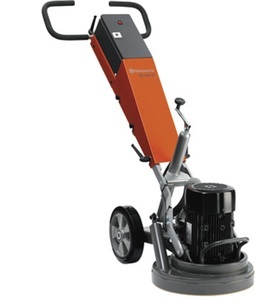 Perfect for grinding adhesive residue, paint and spackle on medium sized concrete areas. Effciently grinds due to high rpm levels and a wide range of discs available for various applications. The dust guard and vacuume port are designed to create an almost dustless enviroment.